The website of the Russian Embassy in Sweden says: "Russia is closer than it seems..."
Russia has been trying to prove the point in very special ways lately. Last year, for example, they sent Easter wishes to the Swedes: six Russian bombers simulated a bombing of Stockholm on Good Friday. Russian military aircraft and vessels have recently been crossing borders of the Baltic Sea countries with increasing frequency. Russia's aggression is indeed closer than it seems. 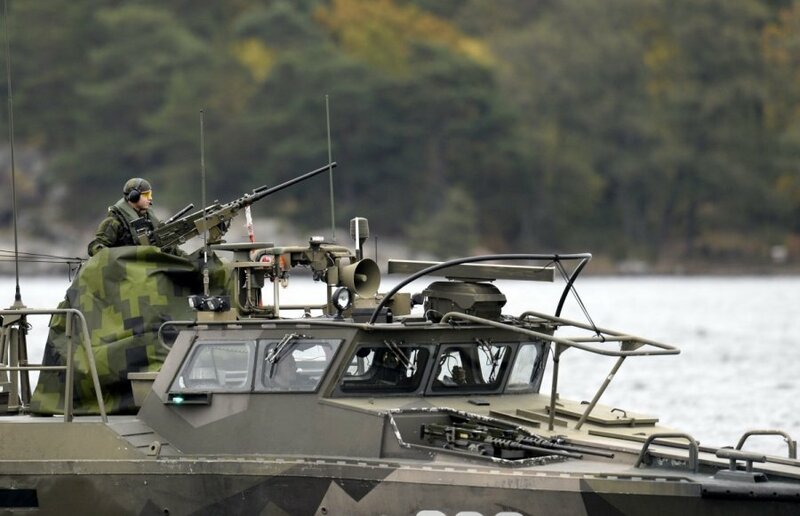 On 17 October, Sweden reported having intersected a signal from an underwater vehicle in the country's territorial waters some 50km from Stockholm. The intended recipient was someone in Russia's Kaliningrad Oblast. The Swedes have never officially stated that the mysterious object was a Russian submarine - they didn't catch it - but one is free to draw one's own conclusions. Commander of the Swedish armed forces General Sverker Goranson commented on the incident thus: "This is very serious." Sweden took action that Stockholm called "intelligence operation" rather than submarine hunt. Our Scandinavian neighbours are far from being hotheads, but this time they conducted the biggest search operation since the Cold War. It involved almost 300 people and many ships, from military corvettes to inflatable boats. The operation, which lasted from 17 to 24 October, cost 20m Swedish krona, or 2.2m euros. Finding a submarine when it's under water is very tricky. Right before the incident, Sweden and the Netherlands held joint military exercise in the Baltic sea, practising this particular task. It's noteworthy that, during the Cold War, Soviet subs would often sail up to Sweden's coasts to spy, but only once were they caught, on 27 October 1981, when a Soviet Whiskey-class sub ran aground near Karlskrona. The Swedes hauled it off the rocks and returned to the USSR. The incident has become known as "whiskey on the rocks". Even during the cold war the Swedes, a neutral nation, felt safer and permitted themselves some sense of humour, whereas now some start to wonder whether neutrality will protect the country against the Kremlin's unpredictable ways. Back in the 1980s, the Soviets claimed they did not realize they were in Sweden's waters - their broken-down navigation equipment made them think they were at Poland's shores. This might remind you of similar nonsense claimed by Russian paratroopers caught in the Ukrainian steppes this year - apparently they got lost in the dark. Soon after the beginning of Sweden's operation, Russia's defence ministry made a statement, suggesting Stockholm seek explanation from the Dutch. 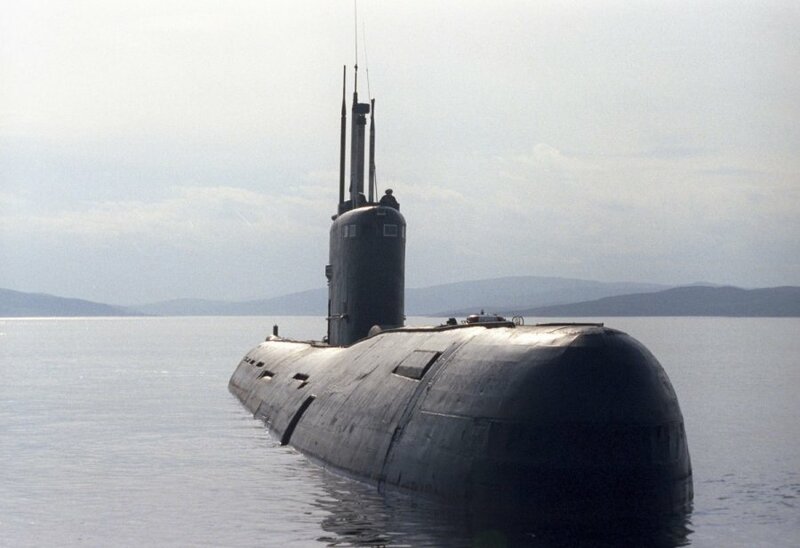 The statement was a give-away of Russia's anxiety - only the media had speculated it might be a Russian sub, but Moscow jumped at it and, very ungracefully, pointed a finger at the Netherlands, even though the Dutch submarine was openly docked in Tallinn at the time, something that Russian military intelligence must have known. Counter Admiral Anders Grenstad said Sweden looked for the mysterious underwater object using the army's own information and that supplied by community members - and that it could not have been a big submarne. The army selected five most reliable statements out of hundreds supplied by ordinary citizens and made them public. These indicate that the object was first sailing through the islands right off the coasts of Stockholm, then moved south and was last spotted in the southern-most end of the Stockholm archipelago. No one knows if a Russian submarine, seen on 24 October even further south, in the Oresund Strait between Sweden and Denmark, is in any way related to the incident. On 24 October, the Russian defence ministry, possibly relieved, made a joke that the Swedes had no more chance of finding anything in the Baltic Sea than catching Karlsson on the roof. Sweden ended the operation on that same day. The Russian media insisted that the country's Baltic fleet had three submarines: Dmitrov was in repairs in Kronstadt, Vyborg was docked at a military base in Kaliningrad and Sankt Peterburg was lent to the North fleet. They forgot, however, to mention Novorosyisk, an extra-silent sub that had been just built in Saint Petersburg for Russia's Black Sea fleet, but was still in the Baltic Sea. Eurasia Defence, a website with links to the Russian military industry and foreign ministry, reported that Novorosyisk sailed off on its first open sea journey to Kaliningrad on 20 October, during the height of Sweden's operation. To make it more convincing, the website ran a photo of the submarine departing from Saint Petersburg, tagged 20 October. Read: the sub could not have possibly been spotted near Sweden. Coincidentally, Novorosyisk was sent to the vicinity of the Lithuanian coast just as we were waiting for the LNG terminal Independence. It has become a Russian trademark - if you cannot do any actual harm, then at least tease. Is it a whale of a flying Dutchman? The 70-metre sub would have had hard time manoeuvring in the Stockholm archipelago, but it is the most modern addition to the Russian fleet. Neither NATO nor Sweden have seen it yet. Could their first encounter have been this October near Stockholm? We will not know for certain any time soon, but Counter Admiral Grenstad explained on 24 October that the army was ending the intelligence operation because it had collected enough information. Most military experts were inclined to assume the object was a mini sub, much more manoeuvrable. At the end of the Cold War, the Soviet Union developed a model of very silent and undetectable 28-metre submarines "Piranha" (three crew members and six divers) that could stay underwater for 10 days. Two Piranhas were part of the Baltic fleet. They were officially discarded in 1997, but one cannot discount the possibility that Russia might have updated the model as part of its recent military overhaul. Another possible suspect is an even smaller minisubmarine Triton NN, developed six years ago. Its carrier, Orenburg, is currently in repair - the Russian media ran photos showing the submarine out of water in Saint Petersburg docks. During the search operation, the Riksdag, the Swedish parliament, was debating the national budget bill and decided to increase defence funding. The country is now ruled by a red-green coalition. The greens are weary of anything military and made promises to continue cutting defence budget during their campaign. After the Riksdag made its budget decision, a representative of the greens joked: the budget bill is passed, they can stop the operation now. But few Swedes believe in conspiracy theories that the army staged the whole thing just to secure better funding - citizens trust their government and rational use of national resources. It emerged during the operation that foreign military activities in the Swedish waters had been on the rise for several years and the army had been reporting all incidents to the Riksdag's defence committee. The Swedish society was somewhat indignant about not having been informed about the threats. Can hiding military incidents be a general trend? For instance, I've heard in private conversations that last summer Russian military ships were constantly interfering with electric cable laying works between Sweden and Lithuania. The cable ship was forced to interrupt work and return to Sweden several times, because they'd be approached by Russians in neutral waters and told to move away because of military training. Defence Minister Peter Hultqvist says that, after these events, the Riksdag is inclined to support reintroducing conscription which was abolished by a centre-right government in 2010. If Russia's aim was to intimidate Sweden into keeping a lower profile and cooling down its relations with NATO, Moscow achieved the opposite result. 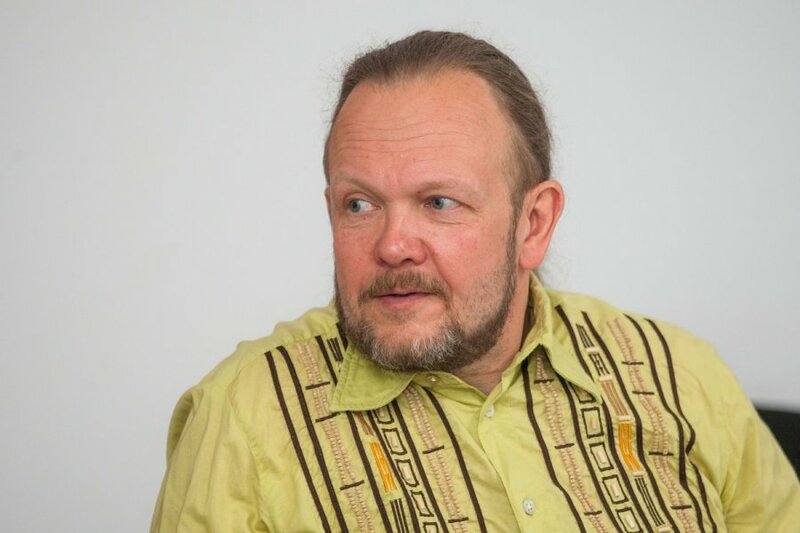 The Swedish government has made a statement that, due to Russia's increasingly provocative behaviour in the Baltic region, it is ending cooperation with the Russian armed forces. Despite effects of Ukraine sanctions on Russia's stagnating economy, it plans to increase military budget even further next year, introducing additional cuts to its ailing healthcare and education systems. The Baltic region countries should respond not individually, but rather with collective decisions on their defence.